While Romney didn’t necessarily persuade any voters to join his cause during the Republican National Convention, there is some evidence that the RNC might have helped Romney improve his weak favorability ratings—one of the central problems that hampers his candidacy. According to post-RNC polls by ABC News/Washington Post and CNN, Romney’s favorability ratings improved by a net-4 and 6 points, respectively, and PPP’s state polls also showed Romney’s numbers improving. If those gains were repeated across a representative set of national polls, Romney’s favorability ratings would be about even. 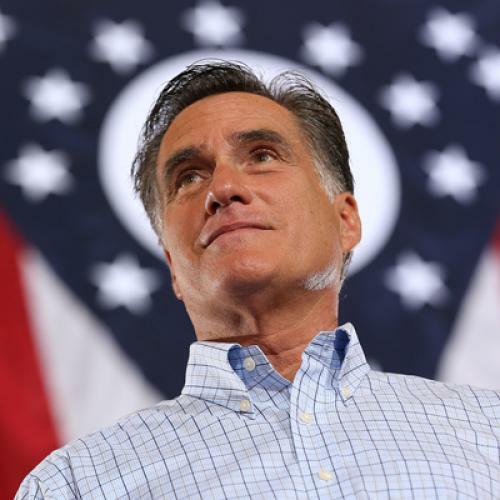 A 6-point bump in Romney’s favorability ratings could meaningfully improve his chances in November. Favorability ratings are hardly an exact science, but Romney’s probably need to be at least around even to win on Election Day, provided that Obama’s approval ratings remain even and his favorability ratings stay slightly above water. On the other hand, the fact that Romney didn’t make clear gains with improved image might call into question whether Romney was making gains among the voters that count most. According to the ABC/Washington Post survey, many of Romney’s gains came from Republican women, who presumably were largely voting for Romney already. But the CNN poll showed Romney with strong favorability ratings among independent voters. If that were true, their reticence to embrace Romney might either be a sign of enduring attachment to the president, or an indicator that they're waiting for more from the Republican nominee before choosing to embrace his side. Of course, it remains to seen whether Romney’s bounce becomes a sustained bump. From a certain perspective, the fact that Romney’s ratings might only be even after a three-day, three-hour infomercial could be interpreted as a sign of weakness. Perhaps his ratings today are as good as they’ll get, especially if the DNC becomes a hatchet job (although that doesn’t look like the DNC game plan at this stage). But other candidates—like Clinton—managed to turn their bounce into a bump. If Romney’s gains prove durable, then perhaps the RNC helped pave the way for later gains, even they didn’t manifest in the top-line numbers over the weekend. Let’s see whether Romney holds onto these gains over the next few weeks.